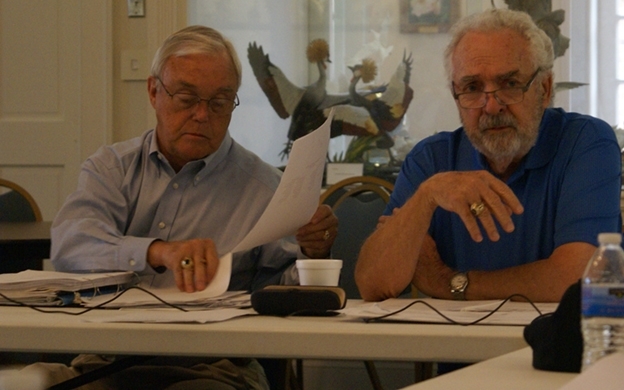 Preside at all meetings of the ACS Board and of its Executive Committee. Report to the membership at least annually regarding the state of the Corporation. Serve ex officio on all committees. Perform all duties as president as well as duties which the Board of Directors may prescribe. Work closely with the Executive Director as the primary contact from the Board of Directors. Shall preside in the absence of the president. Any duties that the board or president shall deem necessary for the vice president to perform. Shall preside over the Council of State Directors and report to the Board on behalf of the Council. Serve as ex officio member of the Board of Directors for two years after his/her term. Ideally should be a lawyer or someone with equivalent experience. Be responsible for minutes of all meetings. Have a solid understanding and knowledge of the Articles and By-laws of the ACS. Ideally should be a CPA or someone with equivalent financial experience. Receive, disburse and maintain a record of all funds of the ACS. Report the status of ACS finances to the membership annually and ensure that ACS staff provides regular financial reports to the Board and ACS Trust Board as outlined in governance policy. Responsible for procuring an annual audit of the corporate books and presenting the audit to the Board. The treasurer can at his/her discretion delegate the day to day deposits and writing of checks to pay bills. Responsibilities General: The Regional Vice-Presidents shall have general supervision over the corporation’s affairs in their respective regions; shall actively seek to effectuate all of the missions and purposes of ACS in their regions; and shall be responsible for developing and serving the members in their regions, including organizing conventions which are held in their regions. Responsible for membership in his/her region. Make every effort to attend as many local, state and regional camellia society meetings, shows and other events as possible. Give talks concerning camellia culture, details of the ACS, and the benefits of membership. Send a written report of activities on behalf of the ACS, to be in the hands of the Executive Director two weeks prior to the Fall and Annual Meetings of the ACS. Responsible for conventions in their region. Promote the use of the website. Perform such duties that the Board of Directors may see fit for the good of the Society. Responsibilities General: Club Directors shall actively seek to effectuate all of the missions and purposes of ACS in their regions; and shall be responsible for developing and serving the members in their regions, including organizing conventions which are held in their regions. Paying own expenses for travel to ACS Board meetings, etc.